The Star Wars phenomenon made a lasting impression on hundreds of thousands of people in many countries worldwide, and Canada was no exception. This site showcases items from the original, Star Wars trilogy era 1977 - 1985 inclusive. Here you will find many different items including the original Kenner toys, food related promotional items, and trading cards. As well, visitors to the site will also be able to read original reviews for the trilogy as found in the Canadian media. 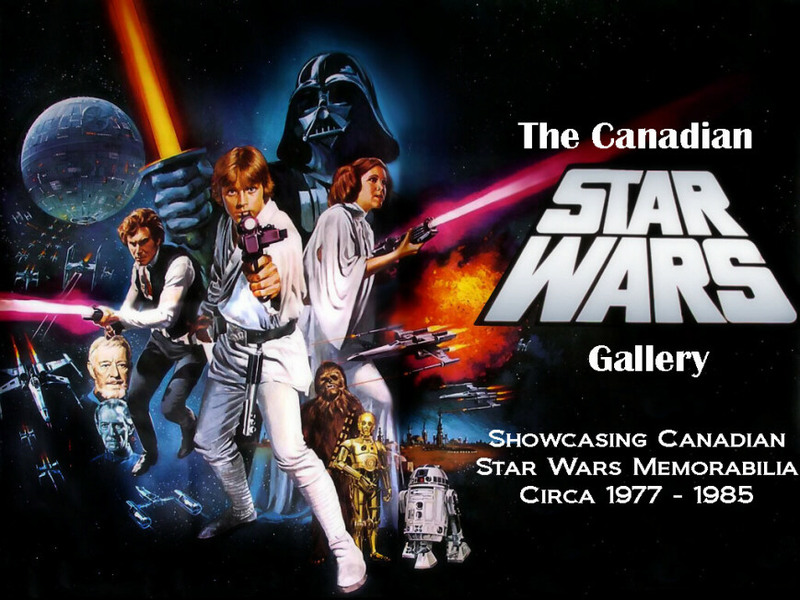 So sit back, and return to the original heyday of Star Wars with a Canadian focus. Are You a Former Kenner Canada - Irwin Toys Employee? If you are a former Kenner Canada / Irwin Toys employee, I would like to hear from you. Please contact the webmaster. No material on this website may be reproduced, stored in any retrieval system or transmitted in any form or by any means - electronic, mechanical, photocopying, recording or otherwise - without the express written consent of the webmaster. This site is dedicated to my family, who recognized my enthusiasm for everything Star Wars as a child, and for encouraging me every step of the way since 1977. They are a significant factor in my enjoyment of the hobby.